Here’s a project which unifies art and tech: a LilyPad Cyclocomputer. 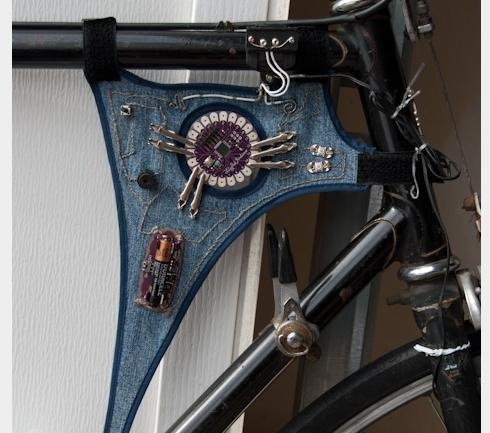 Mark Fickett designed this bicycle computer which uses a magnet and reed switch as a cyclocomputer wheel sensor. This sensor is read by the Arduino/LilyPad (Atmega328) which processes the data and stores two trip meters and a speed histogram; the trip meters are reported in Morse code via a speaker, and the histogram can be saved to EEPROM and later printed over the serial connection. The circuit is based on the LilyPad version of the Arduino popular in art oriented projects. Schematic, source code and details are available on Mark’s github page. This entry was posted on Sunday, February 27th, 2011 at 4:00 pm	and is filed under Arduino, measurement. You can follow any responses to this entry through the RSS 2.0 feed. You can skip to the end and leave a response. Pinging is currently not allowed.